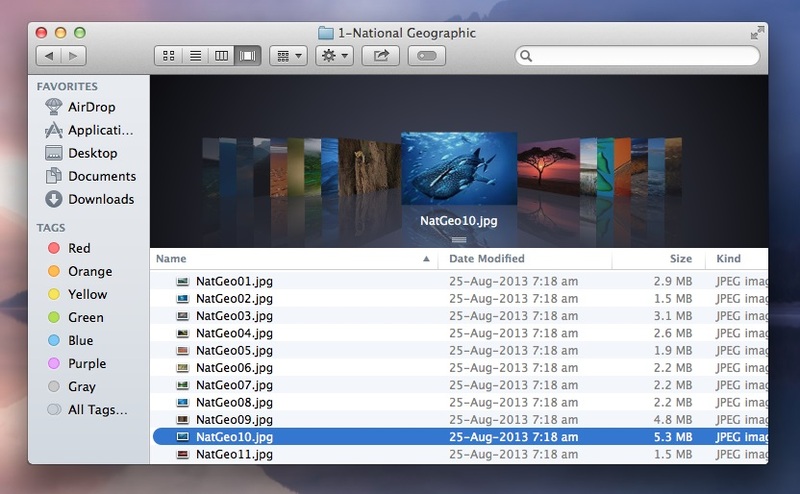 Last Year on September Life hacker team revealed the secret to access the hidden wallpapers in OS X Mountain Lion, this time again they came with the new guide which allows you to find almost 40+ hidden HQ wallpapers in OS X Mavericks. Apple’s newly released OS X Mavericks is one of the hottest topic these days, this time the upgrade is free to all MAC users and they will update their MAC OS with this new update from the App store. There are so many HQ wallpapers portals are available on the web which you can use on your desktop without paying a penny. But today e will show you how to find some of the best Hidden Wallpapers on your Mavericks OS X. If you recently updated your MAC OS with the Apple’s new OS X Mavericks, then you can easily fin all these wallpapers on your desktop with in a three simple steps. The process is very simple and take a minute to get these HQ wallpaper on your desktop. So without wasting a time lets take a look how you can easily unlock these wallpaper and set them as your Desktop wallpaper. /Library/Screen Savers/Default Collections/ and hit the “Go” Button. Now you will see the new folder filled with wallpapers on your MAC Screen. 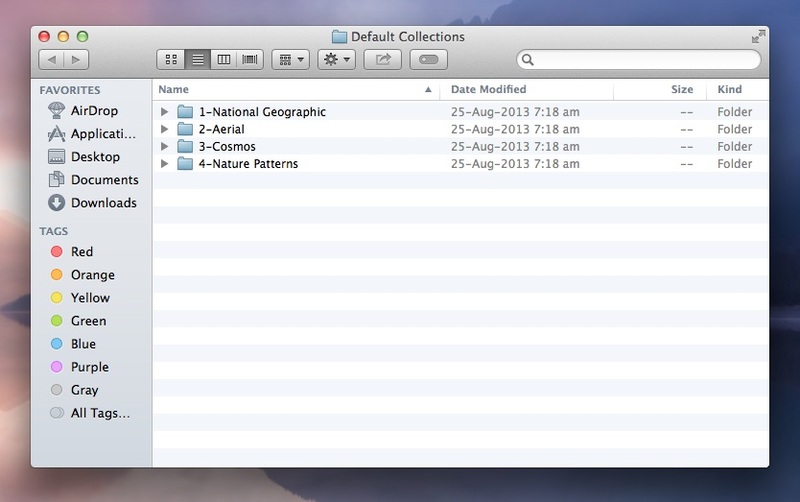 Here you will see 4 folders National Geographic, Aerial, Cosmos and Nature pattern. Each folder contains the lots of new Wallpapers, which you will save on your desktop. Browse through the folders and then drag an image into your desktop or to some other place where you want to save the wallpapers and set them as your default wallpaper. That’s it, Now you will enjoy all the new hidden wallpapers on your Mavericks OS.